The iPhone 6 / 6 Plus’ Reachability feature while much needed, is no justice to the glorious Retina display. Especially in times of typing, you want the keyboard to conveniently slide to one side of the screen for reaching those keys extended to the far corners of your reach, instead of the entire screen. This is where HandyKey – a new Cydia tweak – comes in. 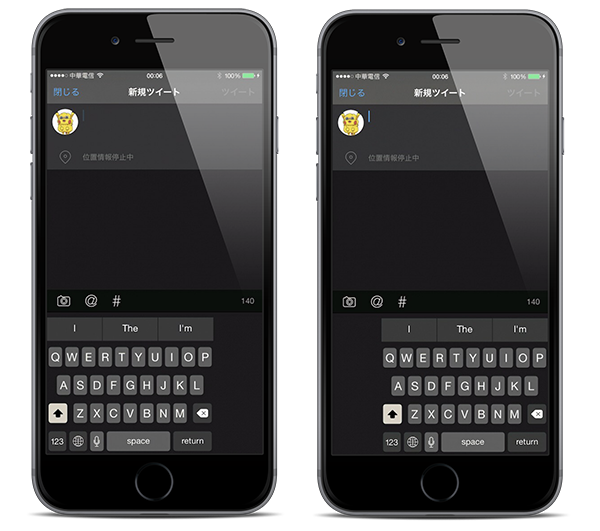 HandyKey by famous iOS developer Hiraku, will replace your stock iOS 8 keyboard, but will maintain the aesthetics, autocorrect and suggestion features of the original one. The keyboard’s function is pretty simple, to address the problem of reaching keys on a standard keyboard with just your thumb during a one handed operation. HandyKey will allow users to off-center the keyboard to the left or the right side of the display to suit the hand your iPhone is in. The best feature perhaps, is the ability to switch between the stock and off-centered keyboard using a simple two-finger swipe gesture. This is just about it for this tweak, and given that it is available for just a dollar, one has to take into account keyboards such as Blink, One Handed Keyboard and more. While One Handed Keyboard only includes a basic auto-correct function, HandyKey has its own shortcomings, some of which are pretty serious. The tweak will not work with apps which require root access / permission, such as Cydia or iFile, but one can live with that I guess. For now, HandyKey does not allow users to type in landscape mode – usually a favorite for users on larger screens, such as the iPhone 6 Plus. HandyKey will only operate in portrait mode only, and ff your iOS app does not support native iPhone 6 / 6 Plus Retina HD resolution, HandyKey will not function under such circumstances. In short, you must have an iPhone 6 / 6 Plus in order to make use of this tweak, otherwise you should simply pass on it. Hopefully these are all temporary issues which should be ironed out soon, given the developer and repo it comes from. While the tweak does impress with its seamless integration with the stock iOS 8 / 8.1 keyboard, if it were to offer the same throughout the iOS environment and apps, it would be a real hit with iPhone 6 / 6 Plus users looking for something simpler than the alternatives. 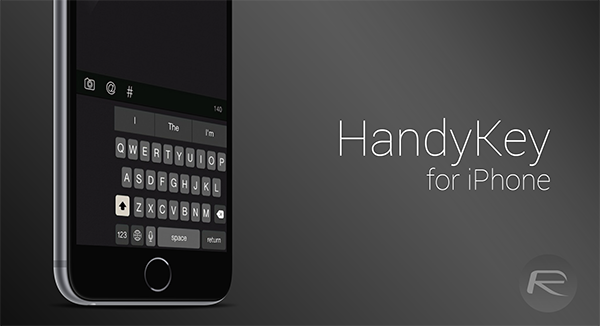 HandyKey is available from the BigBoss repository in Cydia for $0.99, and is compatible with the iPhone 6 and iPhone 6 Plus running iOS 8 or later. Yeah Samsung copied the iPhone touch screen look. OH! So now apple is returning the favor. Sexual inadequacy too, you’re special.